When asked what he gained most from Buddhism, the Dalai Lama mysteriously and enigmatically simply held forth a flower. This enigmatic and puzzling response is confusing but forces us to examine it carefully. Enigmas or riddles abound not only in religious matters, but also throughout the humanities. Who hasn’t seen the Mona Lisa’s enigmatic expression and wondered what makes her smile so obscurely and teasingly? Quiz: Try again! What does it mean when something is enigmatic? It is annoying because it has no answer. It makes you feel stupid. It possesses no easy answer. Ben the Pig Not Automatic Although Ben the Pig may seem simple on the surface, snarfing down his food every day in true piggy fashion, Ben the Pig can also be enigmatic because he automatically says "thank you" when you bring him his food, and we all know that pigs can't talk. 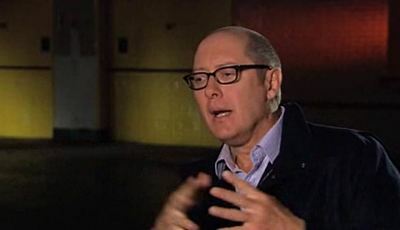 YouTube: Join the Synergy (James Spader - Red as an Enigmatic Character) The character and the plot are enigmatic.